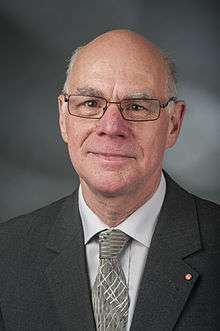 Norbert Lammert (born 16 November 1948) is a German politician of the Christian Democratic Union (CDU). He has been the 12th President of the Bundestag since 2005. The son of a baker, Lammert attended gymnasium in Bochum where he studied classics. He obtained his abitur in 1967. He carried out military service in the Bundeswehr from 1967 to 1969. Following his military service he went on to the University of Bochum, which included a period abroad at the University of Oxford, where he studied political science and modern history. He went on and obtained his Ph.D. (Dr. rer. soc.) from the University of Bochum in 1975. Having joined the CDU in 1966, he was deputy chairman of the Bochum branch of the CDU. From 1978–1984, he was deputy leader of a part (Westfalen-Lippe) of the North Rhine-Westphalian branch of the Junge Union, the CDU youth organization. In the 1980 national elections, he was elected to the Bundestag and has kept his mandate continuously until today. During his tenure in the Bundestag he served (as usual for all MdBs) on several committees. Following the 2005 federal elections in which the CDU became the strongest party and formed a grand coalition with the Social Democratic Party (SPD), Lammert was elected by the Bundestag on 18 October 2005 to replace Wolfgang Thierse of the SPD as its President. Lammert received 564 of 607 votes cast, including most of the SPD's votes. He was reelected to this post by the 17th Bundestag after the 2009 federal election with a similarly good result. In his capacity as president, he chairs the parliament’s Council of Elders, which – among other duties – determines daily legislative agenda items and assigning committee chairpersons based on party representation. In the negotiations to form a Grand Coalition of the Christian Democrats (CDU together with the Bavarian CSU) and the SPD following the 2013 federal elections, Lammert was part of the CDU/CSU delegation in the working group on cultural and media affairs, led by Michael Kretschmer and Klaus Wowereit. When Federal President Joachim Gauck announced in June 2016 that we would not stand for reelection, Lammert was soon mentioned by German and international media as likely successor. In October 2016, Lammert announced that he would not stand in the 2017 federal elections but instead resign from active politics by the end of the parliamentary term. Throughout his tenure, Lammert has not shied from speaking out against the government about potential threats to parliament's role. He became widely respected for upholding parliamentarians' rights, including leading the way in condemning the 1915 Armenian massacres as a Turkish genocide in 2016. In 2011, he questioned why the Bundestag had not been consulted on Chancellor Angela Merkel's decision to close all nuclear plants following Fukushima Daiichi nuclear disaster. He has insisted that members of parliament be consulted fully on the bailout schemes for the euro zone debt crisis. In 2012, Lammert said he wants a financial transaction tax to be introduced in as many countries as possible, “at least” in the Eurozone. Later that year, he demanded that the EU not take in new members for the time being because of the European debt crisis and also expressed doubts that Croatia was ready to join; Croatia eventually joined the EU in 2013. Following the Charlie Hebdo shooting in 2015, Lammert criticized Saudi Arabia for condemning the Paris attacks as a violation of Islam, "then two days later letting the blogger Raif Badawi be flogged in public in Jeddah for insulting Islam". Ahead of Egyptian president Abdel Fattah el-Sisi's first official visit to Germany in June 2015, Lammert announced that he would not meet the former army chief, citing "an unbelievable number of death sentences". In February 2016, Lammert visited the Zaatari refugee camp in Jordan to learn more about the plight of Syrians fleeing the violence in the ongoing Syrian civil war that erupted in 2011. In December 2010, Lammert imposed on the CDU a fine of 1.2 million euros ($1.6 million) for breaching party donation rules, for party funding violations in the western state of Rhineland-Palatinate at the time of the regional election in 2006. In July 2013, an anonymous internet blogger, using the name of Robert Schmidt, accused Lammert of having plagiarized other works when writing his dissertation. Lammert rejected this reproach and asked the University of Bochum to check his dissertation; he also published it via internet. High-ranking politicians of the Social Democratic Party (SPD) and of the German Green Party underlined that there should be no condemnation(s) in advance. Lammert is member of the Catholic Church. He is married to Gertrud and has four children. Michael F. Feldkamp, ed. (2007). Der Bundestagspräsident. Amt - Funktion - Person. 16. München: Wahlperiode. ISBN 978-3-7892-8201-0. ↑ Stefan Wagstyl (June 6, 2016), German presidency jostling begins as Gauck prepares to quit Financial Times. ↑ "Norbert Lammert profile on the Bundestag website". 15 November 2013. ↑ Kate Connolly (June 6, 2016), Headache for Angela Merkel as German president Joachim Gauck steps down The Guardian. ↑ Margarete von Ackeren (October 17, 2016), Norbert Lammert kandidiert nicht mehr für den Bundestag Focus. ↑ Stephen Brown and Madeline Chambers (February 17, 2012), Possible candidates for German presidency Reuters. 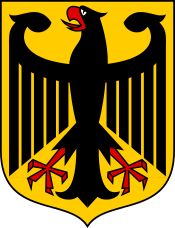 ↑ Jon Hemming (March 17, 2011), Germany dismisses legal doubts on nuclear closures Reuters. ↑ Allison Connolly (January 20, 2012), Bundestag President Wants Euro-Area Transaction Tax, Welt Says Bloomberg. ↑ Andreas Rinke (November 9, 2012), Macedonia's EU talks could start without name resolution Reuters. ↑ Stephen Brown (January 15, 2015), Merkel Vows to Protect Germany's Jews and Muslims From Extremism New York Times. ↑ Andreas Rinke (June 3, 2015), Merkel tells Egypt's Sisi: death penalty is wrong but let's trade Reuters. ↑ Bundestagspräsident Lammert besucht deutsche Truppen in Incirlik und reist zu Gesprächen nach Jordanien und Kuwait Deutscher Bundestag, press release of February 5, 2016. ↑ Rainer Buergin (December 23, 2010), Merkel's CDU Party Fined $1.6 Million for Donations Violation in Rhineland Bloomberg News. ↑ "Unregelmäßigkeiten in Doktorarbeit? : Hat auch Norbert Lammert abgekupfert?". FOCUS Online. 29 July 2013. ↑ "Lammert, Dr. Norbert". Deutscher Bundestag. Retrieved 2010-04-23. Wikimedia Commons has media related to Norbert Lammert.